Ukrainian Elina Svitolina secured the 2017 Dubai Duty Free Tennis Championships women’s singles title last Saturday, 25 February. Seeded at No. 7, Svitolina had seen off the likes of German WTA World No. 2 Angelique Kerber on her road to the final, and she had no trouble dispatching Caroline Wozniacki 6-4, 6-2 in the final. 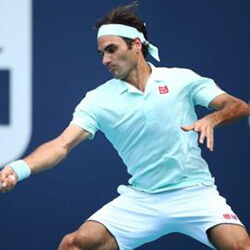 The men’s singles kept Australian tennis betting fans entertained last week, and it was also an event that saw the top seeds tumble early. Swiss ATP World No. 2 Stan Wawrinka, the defending champion and second seed in Dubai, went out in the Round of 32, but the Round of 16 provided an even bigger cull. 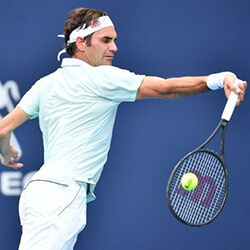 This round saw three of the top six seeds defeated: sixth seed Roberto Bautista Agut, Czech fifth seed Tomas Berdych, and Swiss third seed Roger Federer. Frenchman Gael Monfils, seeded fourth, held out till the quarterfinal, where he was defeated by Fernando Vasco, who had knocked out fellow Spaniard Agut in the previous round. Verdasco went on to beat Robin Haase of the Netherlands in the semi-final, which set him up for a tournament final against top seed Andy Murray, currently the ATP World No. 1. The Scot had a fairly straightforward route to the final, with only German Philipp Kohlschreiber holding him to three sets, in the quarter-final. Murray won that match 6-7, 7-6, 6-1, and proceeded to beat Lucas Pouille, the French seventh seed, in straight sets in the semi-final. However, at the start of the final, Murray looked like he was faltering, after Verdasco broke his first two service games. However, in between those two service breaks, the Spaniard also allowed Murray to break his serve, so the score was 3-1. At that point, Murray found his form and made short work of the rest of the match. 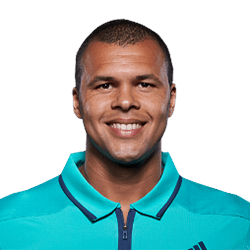 He took five straight games to win the first set 6-3, and allowed Verdasco to hold his serve only twice in the second set, winning the match and the tournament 6-3, 6-2. It was Murray’s first title win in the Dubai tournament, and also his first championship victory in 2017. 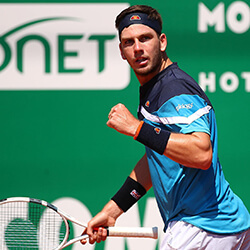 He remains at the top of the ATP rankings, while Verdasco advanced to World No. 35 by finishing as the tournament runner-up.